The Connecticut Sports Foundation Against Cancer was founded in 1987 by Connecticut native John Ellis, former Major League Baseball player and cancer survivor, to provide economic assistance and compassionate financial aid to cancer patients and their families in his home state. 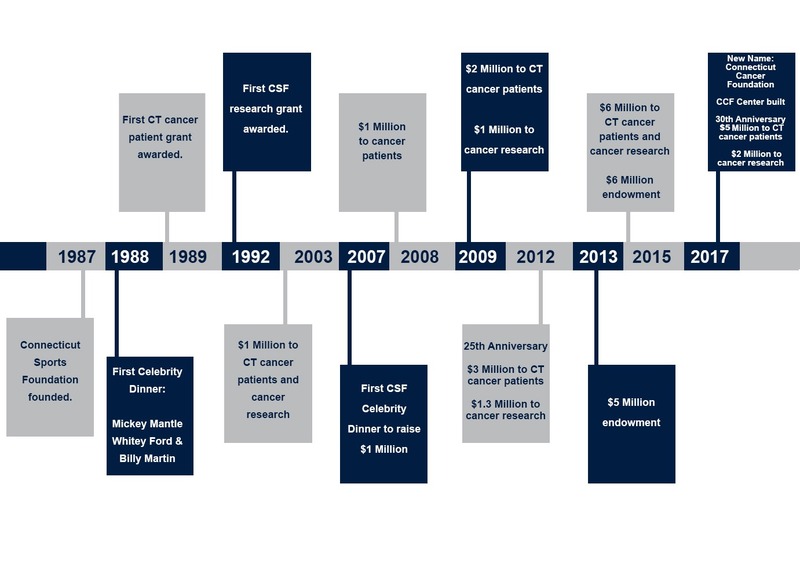 In 2017, the name of the foundation was changed to the Connecticut Cancer Foundation (CCF), to better reflect our mission. Through the CT Cancer Patient Assistance Program, CCF is able to help Connecticut families requesting assistance through referrals from oncology social workers from hospitals, cancer treatment centers and hospices throughout the state. For the past 31 years, CCF has quietly granted over $5 million to more than 6,000 Connecticut families dealing with the financial hardship that often follows a cancer diagnosis. In addition, the Foundation has donated over $2 million to support ongoing cancer research at Memorial Sloan Kettering Cancer Center. To enhance fundraising efforts, CCF has developed a Fine Art Program. The art contributions, like its 31 year Sports Program will help fund more CT cancer patients and their families and introduce a new audience to CCF’s fundraising initiatives. 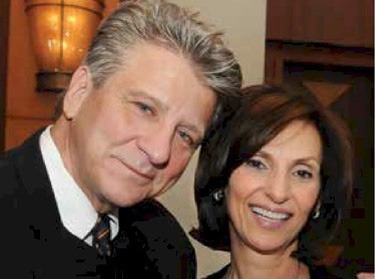 CONNECTICUT CANCER FOUNDATION (CCF) was founded in 1987 by Connecticut native John C. Ellis, a former catcher for the New York Yankees, who played Major League Baseball for thirteen years. John lost a sister, a brother, and a sister-in -law to lymphoma. He is a survivor of Hodgkin’s lymphoma that was diagnosed before John reached 40. Fortunately, John survived and CCF was born, with the idea of raising funds through sports with the help of sports celebrities. CCF has been operating for 31 years under the guidance of John’s wife, Jane G. Ellis, President and Executive Director of CCF. CCF began its fundraising efforts in 1988, kicking off its first gala fundraiser with baseball legends, Mickey Mantle, Whitey Ford and Billy Martin where Mickey stated: “I hope this Foundation goes on forever”. Over the years, many of MLB’s greatest stars, Joe DiMaggio, Yogi Berra, and Hank Aaron along with many others attended the gala to help build CCF’s success to date. CCF is one of the only organizations in Connecticut that provides financial assistance directly to cancer patients and is still going strong. For the past 31 years, through its CT Cancer Patient Assistance Program, CCF has granted over $5 million to more than 6,000 Connecticut families facing financial hardship that often follows a cancer diagnosis. In 1992, CCF began supporting lymphoma research with a $10,000 grant to the doctor who saved John’s life, radiation oncologist Dr. Joachim Yahalom. The commitment to support research has continued for the last 26 years, providing generous funding of over $2 million to support ongoing cancer research at Memorial Sloan Kettering Cancer Center and ILROG under the direction of Dr. Joachim Yahalom.